The Federal Trade Commission’s settlement with Google fails to end its most anticompetitive practice, Consumer Watchdog said today and the public interest group called on the Department of Justice and state attorneys general to press forward to end the Internet giant’s monopolistic behavior in search results. The new Assistant Attorney General for the Department of Justice Antitrust Division, William J. Baer, should make Google’s abuse of search a top priority, Consumer Watchdog said. 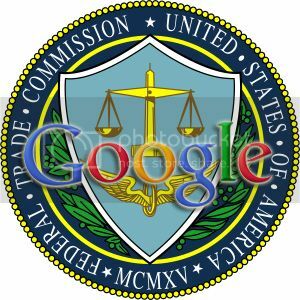 The FTC’s settlement does require a consent agreement regarding so-called Standards Essential Patents held by Google’s Motorola subsidiary. Google is now required to license these patents to any company on “fair, reasonable and non-discriminatory” terms – known as FRAND terms. Consumer Watchdog expressed concern that FTC Chairman Jon Leibowitz, who is expected to step down from the commission soon, may have rushed to finish the investigation so it could be concluded under his chairmanship. The nonpartisan, nonprofit public interest group noted that Google’s monopolistic business practices are under investigation by a number of state attorneys general including Texas, California, New York and Ohio. European Union competition officials are also investigating Google. Consumer Watchdog is a nonprofit organization dedicated to providing an effective voice for taxpayers and consumers in an era when special interests dominate public discourse, government and politics. We deploy an in-house team of public interest lawyers, policy experts, strategists, and grassroots activists to expose, confront, and change injustice every day, saving Americans billions of dollars and improving countless lives.